This is a great program for any student who is or might be interested in becoming a dentist, dental hygienist, dental assistant or a dental laboratory technician. 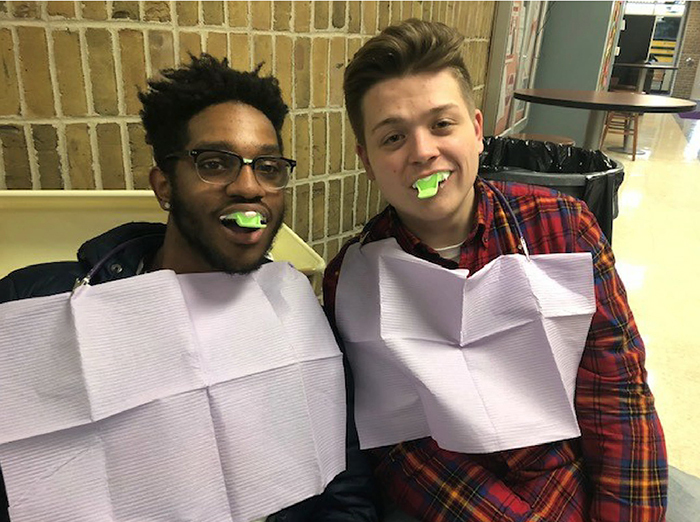 Students will learn basic dental skills and knowledge to work in a dental office or for continuing college dental programs after high school. The study of anatomy and physiology provides the knowledge needed to support all dental and health careers. These courses provide students foundational skills of Dental Science, including basic dental vocabulary, and identification of basic dental tools. Students learn about dental related careers such as Dental Hygienist, Dental Assistant and Dental Laboratory Technician. Students enrolled in Dental Science 1 are also enrolled in Medical Anatomy & Physiology, which focuses on body systems, including the skeletal system, muscular system, nervous system, cardiovascular system, respiratory system, reproductive system and nutrition and digestion. These courses advances students’ foundational skills of Dental Science and prepares students with planning, organizing and researching careers in the Dental Science industry. Students learn about all aspects of the Dental profession, including the various office and clinical responsibilities. Students learn more advanced Dental Science vocabulary and are exposed to specialties in the dental related field such as Orthodontics, Periodontics and Endodontics. Students also learn more in-depth knowledge of dental related careers such as Hygienist, Dental Assistant and Dental Laboratory Technician. Eligible second year students have the opportunity to visit and/or work in a dental office, and earn college credit for the course.